Skin- the word only triggers a thought of beautiful peach and cream smooth skin image inside our head, if you are a woman and that too a beauty conscious one! I bet everybody knows that skin is basically a protective organs an outer layer that is there to protect your internal organs like muscles and nerves , bones etc.from any infections. The covering is a natures cover of protection and you now know how careful you have to be with this .. It is real Important!! Interesting Scientific Facts -Skin all over the body is same but varies in its thickness, at some parts it is thick and some comparatively thinner. This decision is made by nature according to the utilization and the positioning of the organ. Skin consists of three major layers and these layers are apt and active in protecting. The skin generally is thick on elbows and knees too for natures predicted use of these organs. The way we take care of skin of other parts of our body today would love to share with you some good and effective tips of skin care avoiding rough and dark skin on elbows and knees. The Problem – (Black and rough skin on elbows / knees ) Have observed lot many women with different skin tones facing skin problems like dark skin on elbows and knees. It is always very awkward to flaunt a cut-sleeves dress which emphasizes the dark-colored elbows. Also, dark and patchy knees will keep you away from smart skirts and shorts too. Black knees and elbows are like a curse and this curse keeps on stopping you from flaunting stylish attire even with well-toned body? So, to help you out all with some good effective remedies did my bit or searching and found the best methods which can be done easily at home and can be a regular part of your routine. 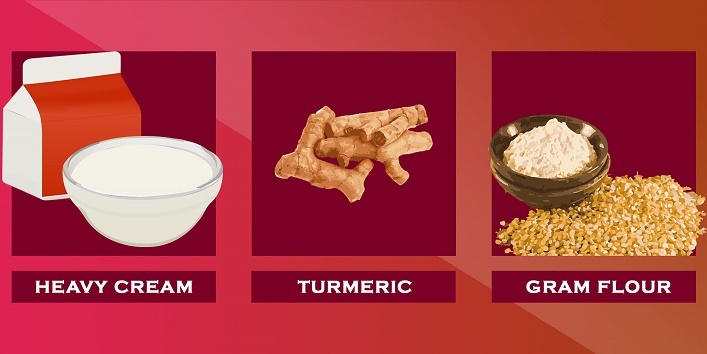 Some super easy yet effective ways to lighten up the skin on elbows and knees. But, before we proceed, always remember that no beauty regime is complete without regularity, you have to invest a little time to look beautiful and presentable everywhere. The cause -Why does this Happen? The skin on elbows and knees is thicker and thus dryer. This skin is prone to moisture loss easily and has less oil glands so the dryness and darkness. The usage – leaning over on elbows and kneeling on knees makes them face rough surfaces and friction which implies to the fact of harder and darker skin. Sun exposure , pollution and all types of atmospheric exposure adds to the moisture loss and adds to dryness and dullness making it darker. The First & Easiest way – Fast life and long working hours do not let you enjoy the luxury of homemade recipe care so would suggest go for creams and moisturizers with cocoa butter, jojoba oil, almond oil and such natural oils.Scrubbing with loafs and then moisturizing is the easiest way.Here is the link to make it easier for you . Lemon juice, Coconut Oil, Brown Sugar and Salt – Put a concoction of sugar and salt on a lemon wedge and then rub it on your darker elbows and knees. Lemon includes natural bleaching agents which lighten and brighten the skin tone, while, sugar and salt helps to moisturize and exfoliate. Salt is one of the superb natural cleansing agents, which take out dirt. 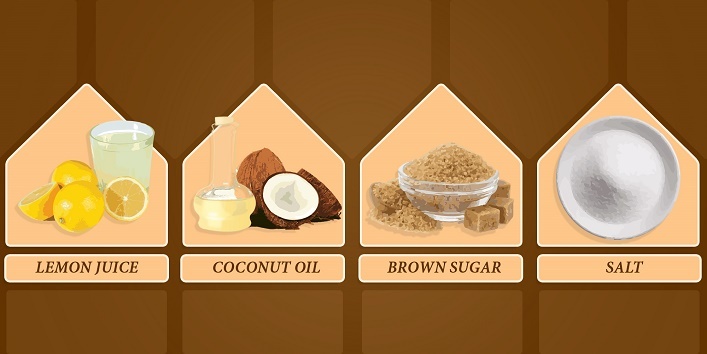 Brown sugar scrub works very well in removing dead skin cells and in polishing the skin by promoting blood flow. Follow up the process with a perfect massage of coconut oil, which is a nourishing moisturizer for skin. Potato Juice – Potatoes include superb anti-blemish properties. It even reduces the emergence of marks and the good aspect is that it is economical, ground vegetable that is always there in your groceries! In order to use potatoes for lightening the dark patches on elbows and knees, grate a potato and take out its juice. 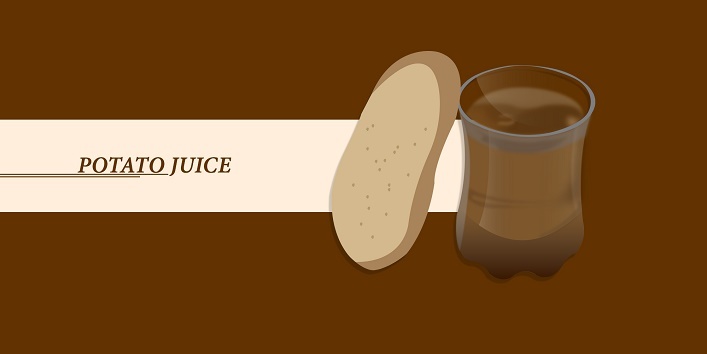 Apply that juice on your skin with a cotton swab and massage on the problematic areas. Glycerin, Turmeric Powder, Milk, Gram Flour – Take half of glycerin, two spoons of milk, one-quarter spoon of turmeric powder and one spoon of gram flour. Mix them and apply the mixture daily for 20 minutes on your dark elbows and knees. Scrub the area gently. This mask can be an effective exfoliating pack. You may even follow the procedure with a gentle massage of mustard oil, which will fade up the dark spots on elbows and knees. Honey, Turmeric Powder, Tomato Juice – Prepare a blend of all these components and apply it onto your dark-colored patches. The tomato is loaded with vitamin C and vitamin A nutrients, which are good for your skin! Tomato can naturally bleach your skin and make it glowing. 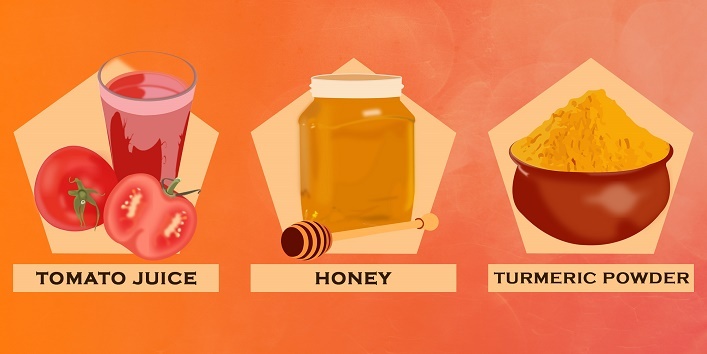 Honey is a perfect skin moisturizer. This essential pack works very well to get rid of blackheads too. 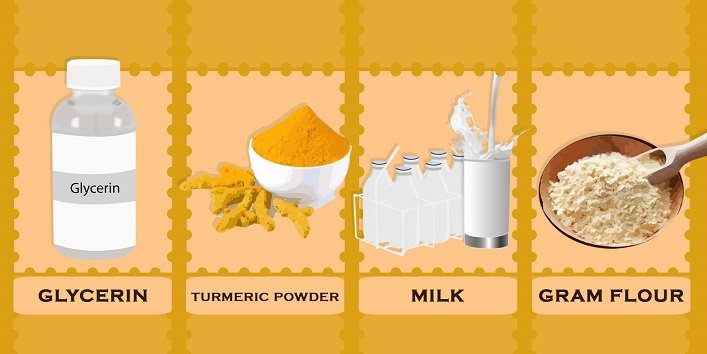 You may even add a small amount of turmeric powder to your regular moisturizer before going to bed. Hydrogen Peroxide, Epsom Salts/Baking Soda – Hydrogen peroxide contains the natural bleaching properties. You just need to dip a cotton swab in the hydrogen peroxide solution and apply that on your skin. You can try this 2 times a day, but do not forget to check the moisturise level too! You may use some cocoa body butter or Shea butter, which smells great. 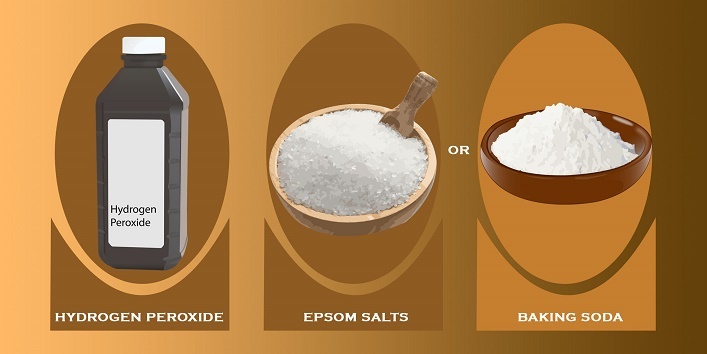 You can also make the use of Epsom salts or baking soda to lighten and scrub your dark elbows and knees. You do not need to hide up yourself behind completely-covered dresses. Just try the above discussed tips and the results are definitely going to boost your confidence. I am sure you will end up putting on a strapless top along with shorts a few months later. Fresh Lemon Lcrub – Lemon juice is a natural bleach , the best and the quickest way is to cut a lemon in two halves and then squeeze both parts to get out the extra juice these two semi cup shapes will act as scrubbing caps for both your elbows and keep rotating and scrubbing for 10 -15 mins then let the juice and pulp dry and wash off applying a little moisturizer. Fresh lemon juice, Olive Oil and Common Salt – Lemon juice two spoons again with one spoon olive oil and a half small cup of salt mixed well consistently will form your scrub that will exofoliate , bleach and moisturize as well. Salt is the best exfoliater and lemon juice bleaches skin naturally with moderate moisturization thorugh oilve oil.- Perfect solution. 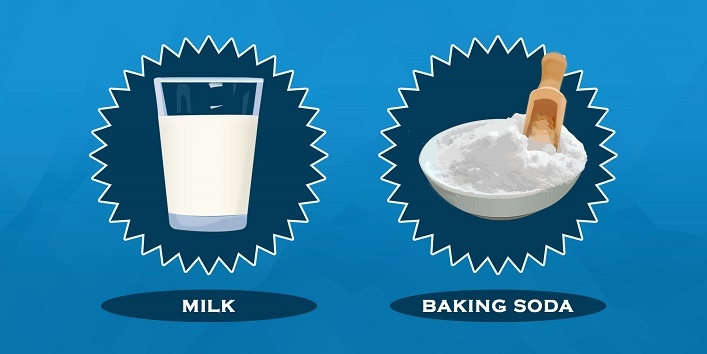 Baking Soda with Milk – Baking soda has natural whitening qualities and milk has moisturizing and cleansing qualities.two tablespoons of baking soda with little milk should be dabbed on affected areas and then let it dry for some time , allow it to act and wash off. 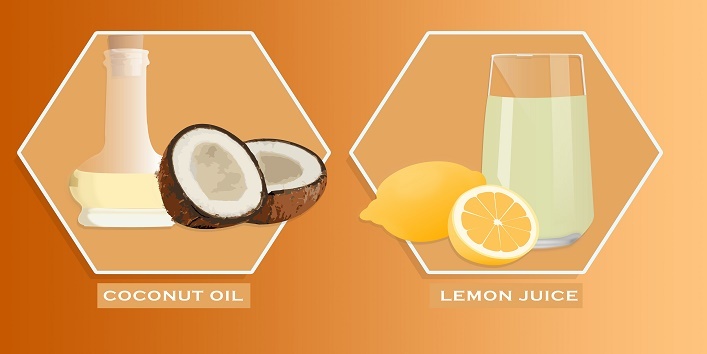 Coconut Oil and Lemon Juice – Coconut oil also acts a natural bleach along with one more quality of moisturization. This mixed with lemon juice gives you a mixture that will definitely lighten the color , but exfoliation is advised. 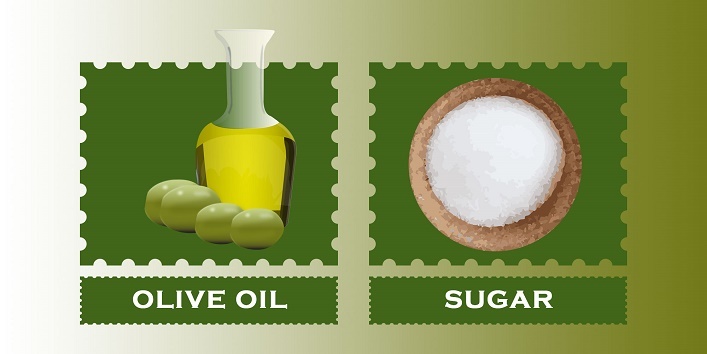 Olive Oil and Sugar – Olive oil along with sugar acts as exfoliater and also moisturizer. The application will be smooth and slow round circular motions and then a little drying and wash off . This will need a little more moisturization after the treatment too. 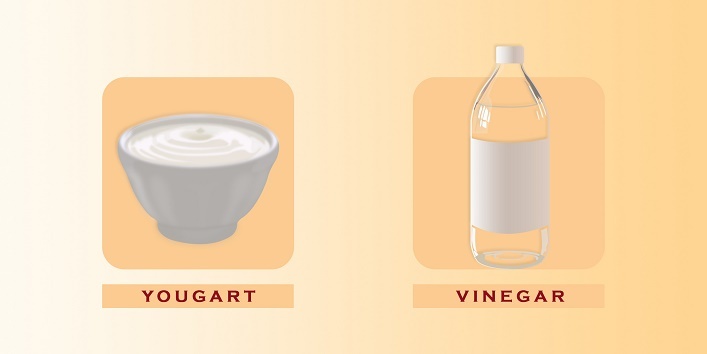 Yogurt &Vinegar – Yogurt has lactic acid and vinegar has acetic acid , mix these two ingredients well and apply the solution on the affected areas , let it dry and then moisturize. This mixture will bleach and exfoliate too. Lemon & Gram flour – Lemon mixed with gram flour forms a paste which can be applied as a scrubber and bleach. After applying this paste in circular motions , scrubbing gently wash off and moisturize with petroleum jelly . This will help you lock the moisture for longer hours. 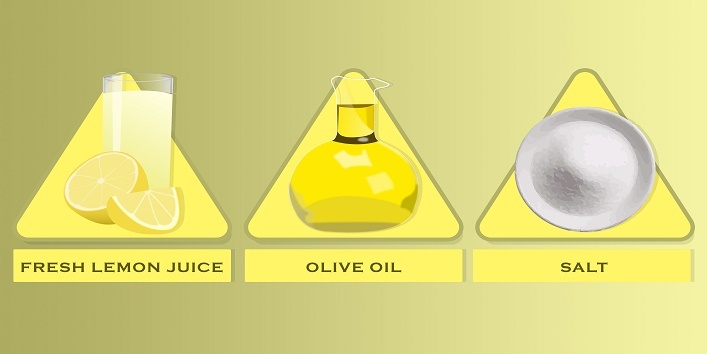 Warm Olive Oil – Applying and massaging warm olive oil on the affected areas is very useful . This process is more effective if you scrub the areas clean of dead cells first and then massage the whole area. Warm oil is absorbed easily by skin and stays there passing moisturization. 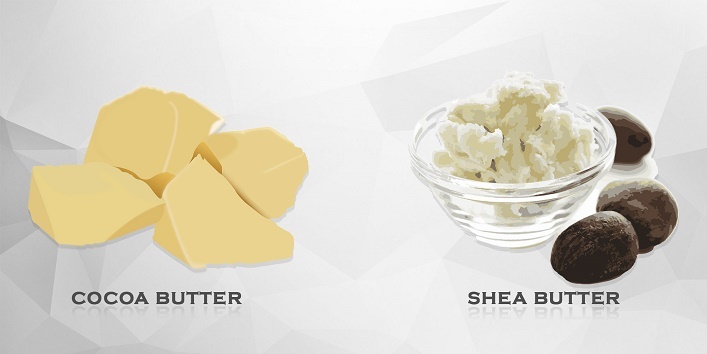 Applying Cocoa Butter & Shea Butter – Cocoa butter and Shea butter creams are also an effective method of fighting dryness and dullness of elbows and knees. The key is regular scrubbing and moisturizing. Using bleaching fruits now and then like lemon , grapes and tomato. Utilizing their juice whenever possible. Using Papaya and cucumber pulp pack too , papaya contains Papin which is a cleansing enzyme and helps in not letting dead cells accumulate. Sandalwood and turmeric paste for scrubbing and lightening of the area. This leaves a little yellowish tinge, but will fade away sooner. This tip has to be followed by moisturizing. The whole thing zeros out at the one thing that we have to take care of ourselves and to avoid embarrassments due to flaky, dark and dry elbows and knees you must follow some of the above given tips. Scrubbing and moisturizing is a must do. Using petroleum jelly for care and moisturization is good and using it with a little water is best, this increases its absorption. After applying moisturizer or jelly you must cover it with long socks or cut the tow portion and cover the affected portion for more effective absorption.